It's been a few weeks since my last post (since I've been on the road playing Jazz festivals and teaching workshops for the better part of the last month!) But I'm back home now and blogging will hopefully be a bit more regular in the coming weeks. 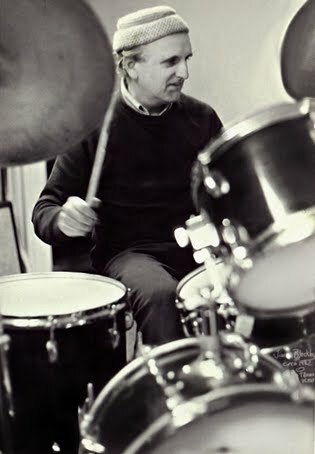 Canadian Jazz drumming legend Jim Blackley recently passed away and Mark Miller's excellent book on Claude Ranger has been released so look for some blog posts featuring both in the coming weeks. "Irrespective of the heights you reach as a musician and instrumentalist, irrespective of how outstanding your fellow musicians are, the most important ingredient that all can take to the bandstand is good human qualities, of love, patience, compassion, tolerance, and the treating of all lives as one's own." I've been on the road lately and have been having fun with this little wrist twister, banging it out on drum pads in hotel rooms, quietly on my hi-hat during sound checks and drumming with my hands while waiting in airport departure lounges (much to the annoyance of other passengers...haha). 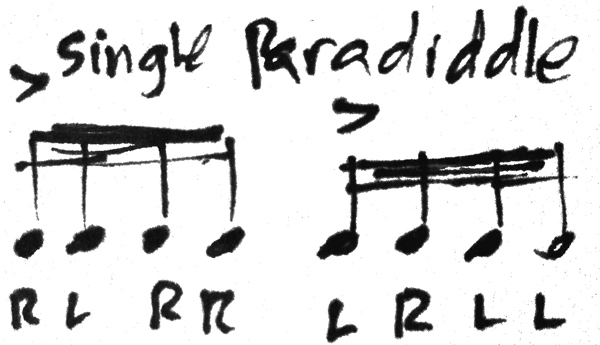 Anyways, this is a follow-up to my posts from a couple of months ago, using various Clave accent patterns combined with paradiddle sticking patterns to create interesting and musical combinations. As always, really bring out the accents to order to get a sense of the larger Clave pattern.